Don't miss this stately, solid stone 4 BD, 3/1 BA Normandy-style home with a beautiful, level yard in the heart of Radnor Township. Nestled in a quiet neighborhood which is within walking distance of Villanova Train Station, this property offers easy access to Center City, the Blue Route, universities, Airport, and the shops & restaurants in downtown Wayne & Bryn Mawr. A gracious center Entrance Hall provides access to the step-down, sunny Living Room with fireplace and the Formal Dining Room. A small Office / Music Room / Breakfast Room is located to the left side of the Hall. To the right of the Living Room is a private Study with windows on 3 walls. The spacious Kitchen has wood cabinets, granite counters, and built-in seating area which overlooks the Family Room. A charming Butlers Pantry and Powder Room complete the 1st floor. Ascend the sweeping curved staircase to the 2nd floor Master Bedroom with 2 walk-in closets and a newly renovated Master Bathroom. Bedroom 2 has a closet and private access to the Hall Bathroom. Bedroom 3 has a deep closet and built-in storage area. Bedroom 4 has an en suite 3rd Full Bathroom plus access to the rear staircase, making it ideal for an au pair, in-laws, and guests. 3 large closets and a staircase to the floored Attic with newer windows provide ample storage. The finished Lower level has a Recreation Room, Wet Bar with beverage frig, Exercise Area with Sauna, Workshop, and a separate Laundry / Storage Room. You'll love relaxing on the expansive rear flagstone patios which overlook scenic, beautifully landscaped level yard. A play set area is located behind the detached 2-car garage. 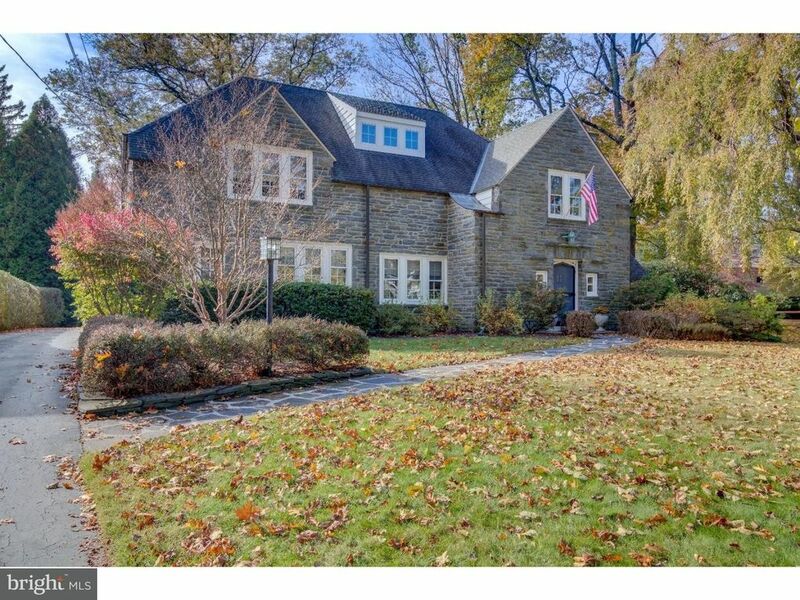 Loaded with character and meticulously maintained, this home is part of the popular Ashwood Manor neighborhood in sought-after Radnor School District.